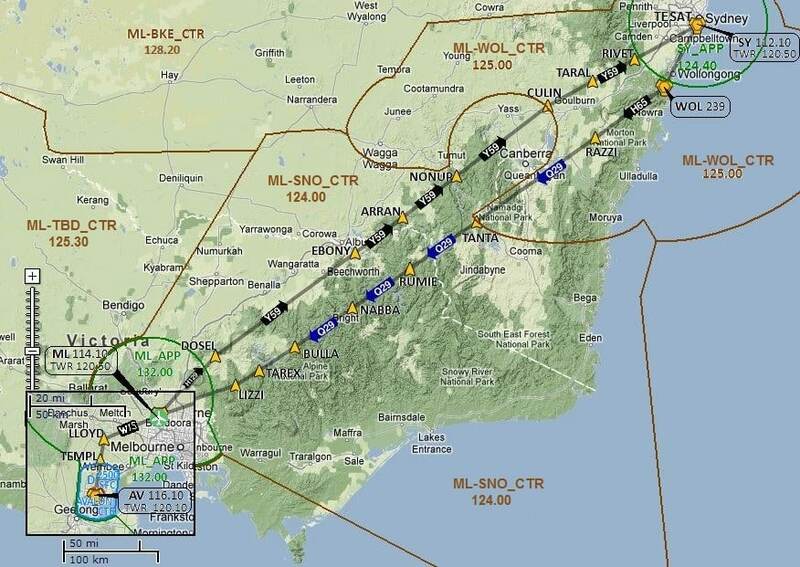 By far the most popular of our regular weekly events, on any given Milk Run Monday you'll find the famous "J-Curve" between Melbourne and Sydney well serviced by both pilots and ATC. Not to be confused with our Spilled Milk Run Monday events, details of which can be found on the Spilled Milk Run page, the Milk Run invites you to fly in any direction between Sydney and Melbourne and all destinations in between (Canberra, Albury etc). Prefer to control? We recommend getting in early. ATC positions on Milk Run Monday are often scarce so definitely worth being an early bird. Traffic levels traditionally start to pick up at around 7:30pm AEST / AEDT and generally peak between 8:30pm and 9:30pm AEST / AEDT.